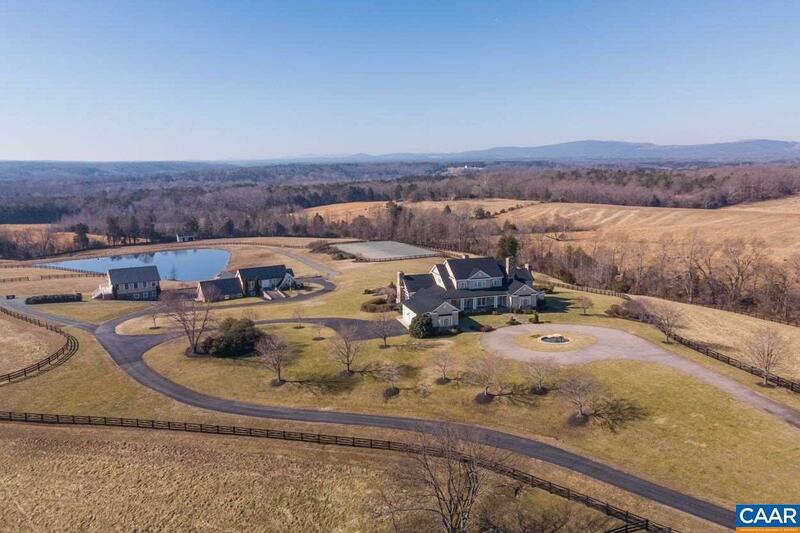 Stones Throw: Exceptional Country residence and equine facility only a short 10 min drive east of Charlottesville and other amenities. The stucco and stone 6-bedroom residence, built in 2005, has all that a buyer would hope for in a open floor plan suitable for modern living. 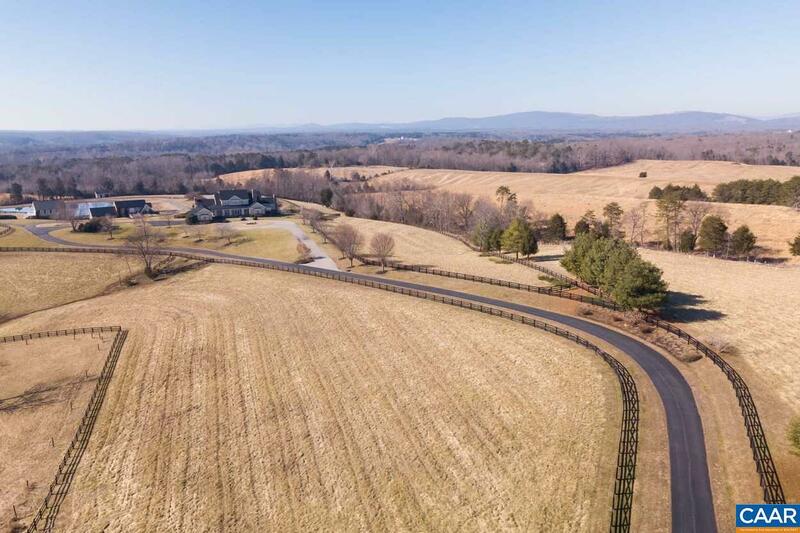 First floor Master suite, private wood paneled office, open kitchen and French doors walking out to a rear porch facing SW designed to take in the views and sunsets, not to be believed. Exercise room, media room, infinity pool, hot tup and pavilion, gardens and lawns, 7-stall stone stable and riding ring. 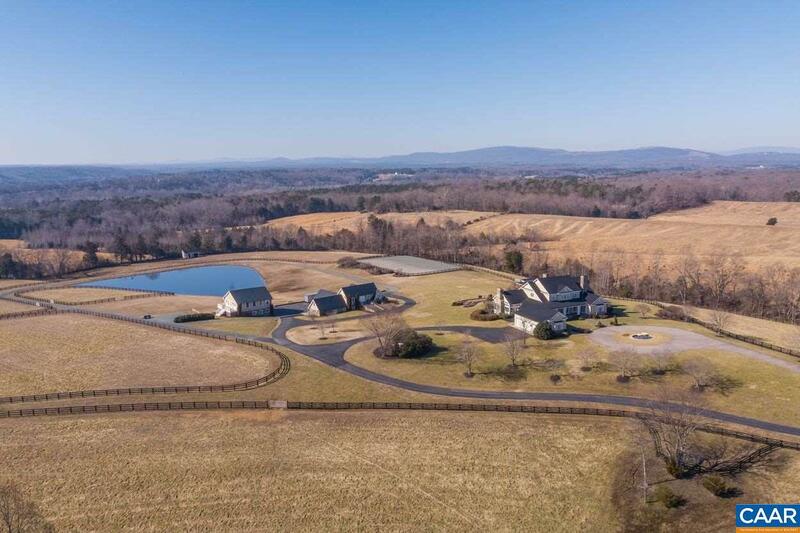 2 detached garage spaces, 2 guest quarters, large pond, gated entrance, fenced paddocks on all sides. Immense privacy with extraordinary views. Proximity! 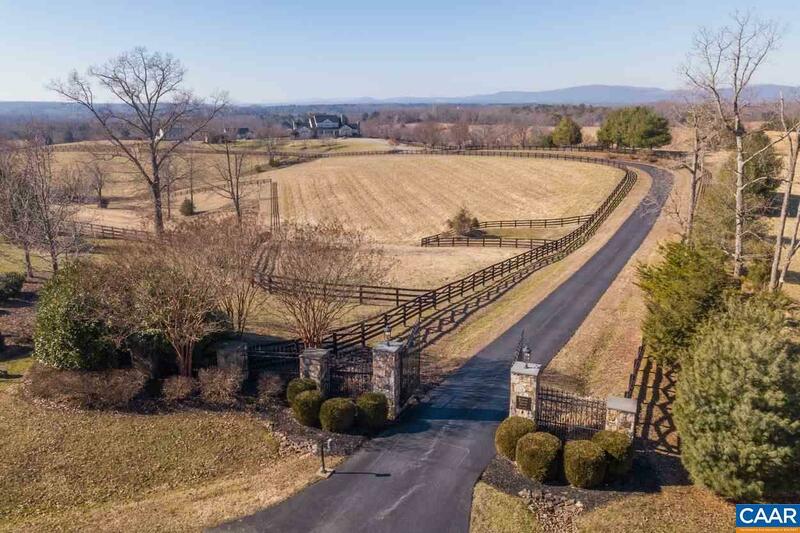 Farm Remarks Incredible Opportunity For A "Turn-Key" Horse Operation. The House is Very Accessible Comfortable And Doesn't Feel Big. Open And Comfortable Floor Plan. The Barn is Close Enough To The House To Do Night Checks On Horses And Ride in The Ring in View Of The Back Porch. Fencing is in Excellent Condition And The Property Serves Horse And Equestrian Activities Well But Could Be Used For All Manner Of Country Life. Pool Area Pavilion Feels Like Keswick Hall.